Cheers to gender equality! 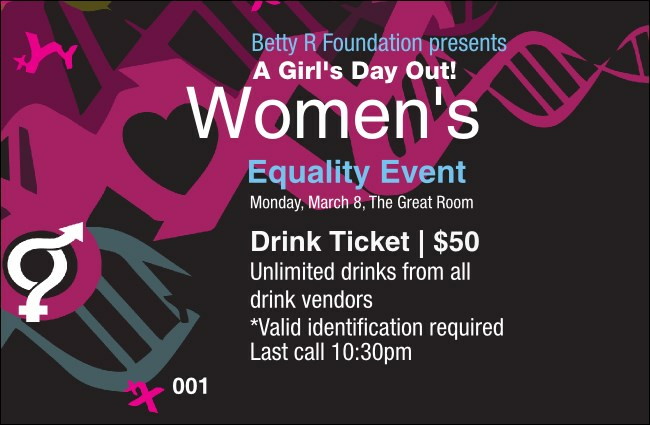 Let your guests make a toast to women's rights when you give them Equality Drink Tickets at your next diversity event. Promote equal rights for all human beings with tickets that feature a colorful background design with diverse shapes and sequential numbering for security. Support feminism with the right ticket from TicketPrinting.com.